The exterior cladding of the building was built mostly of yellow colored pressed bricks. 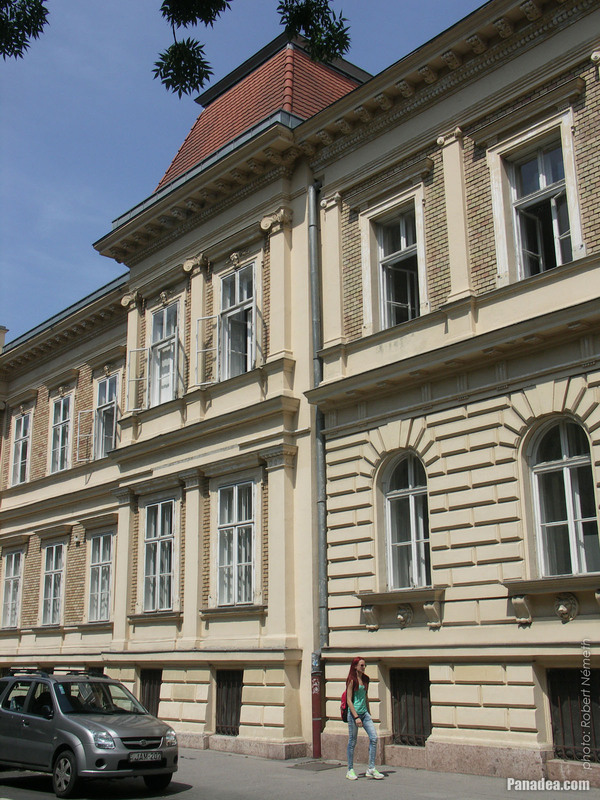 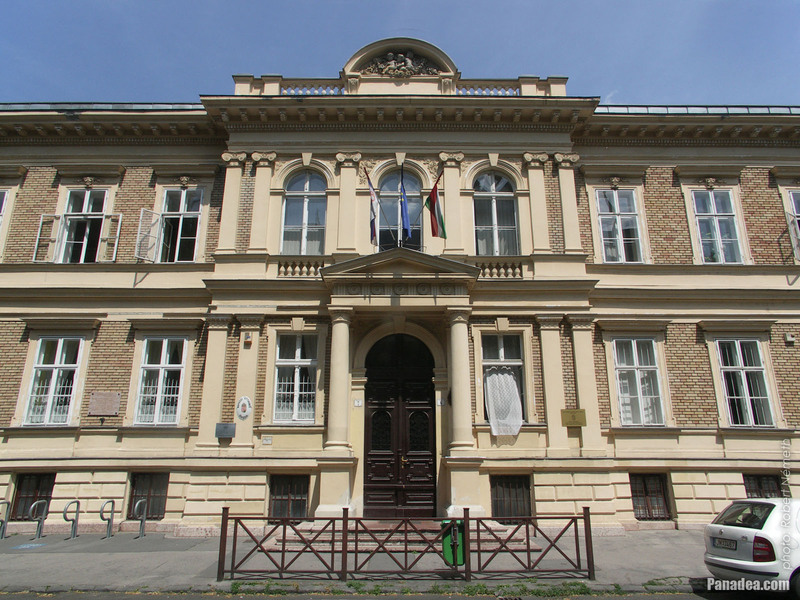 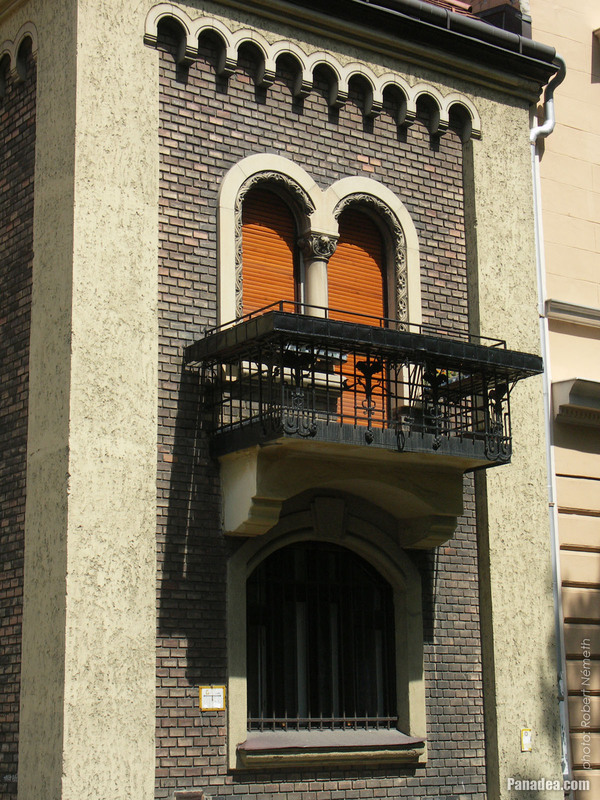 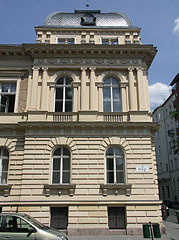 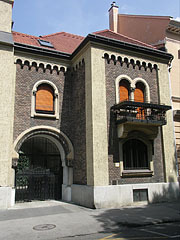 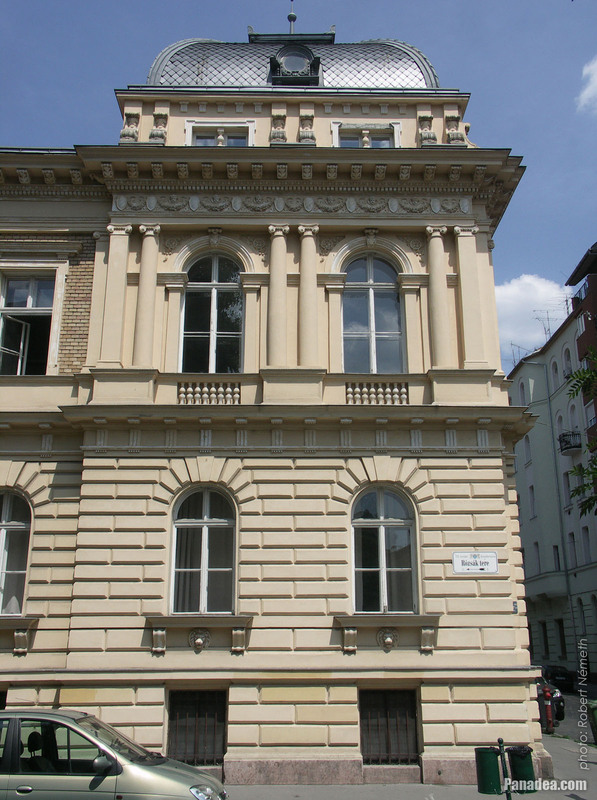 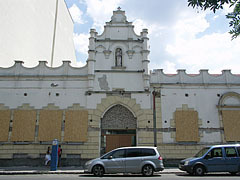 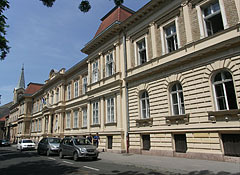 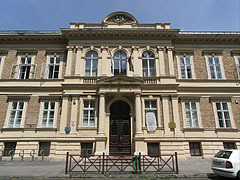 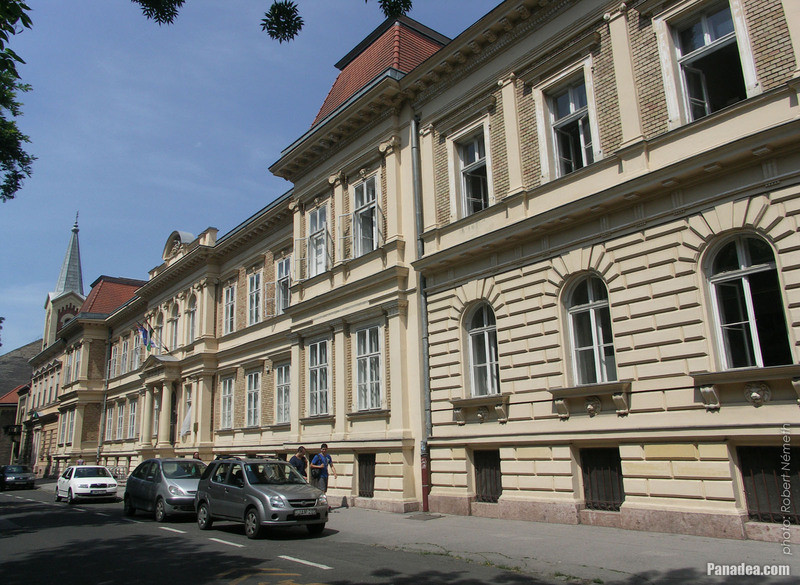 Former Kindergarten Teachers' Training School, it was built in 1875, designed by Miklós Ybl and József Pucher. 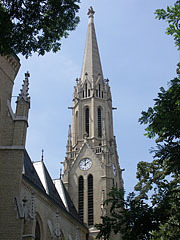 In 1887 it was expanded. 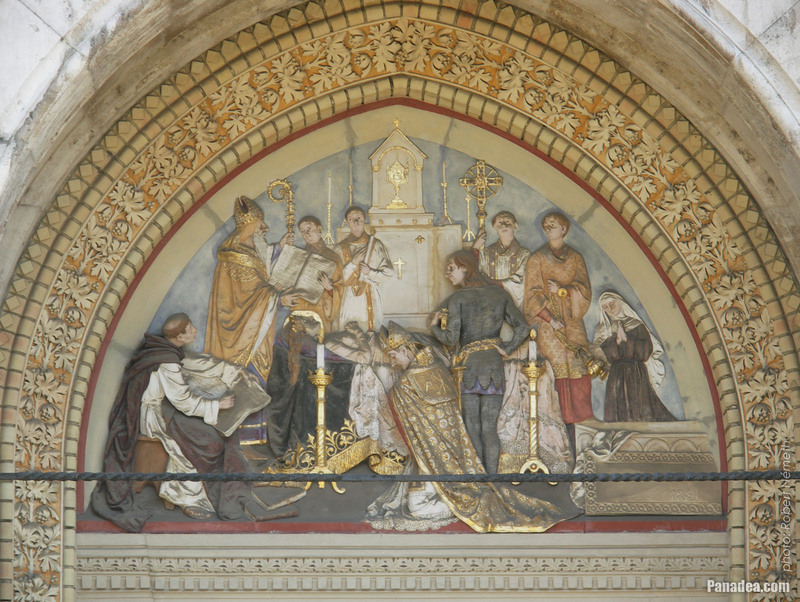 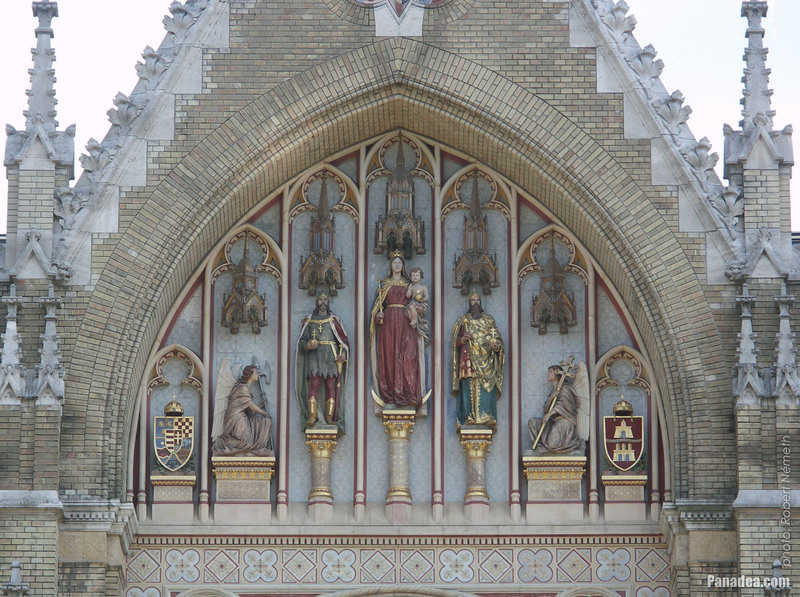 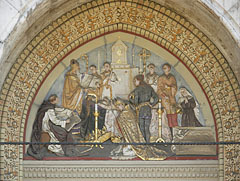 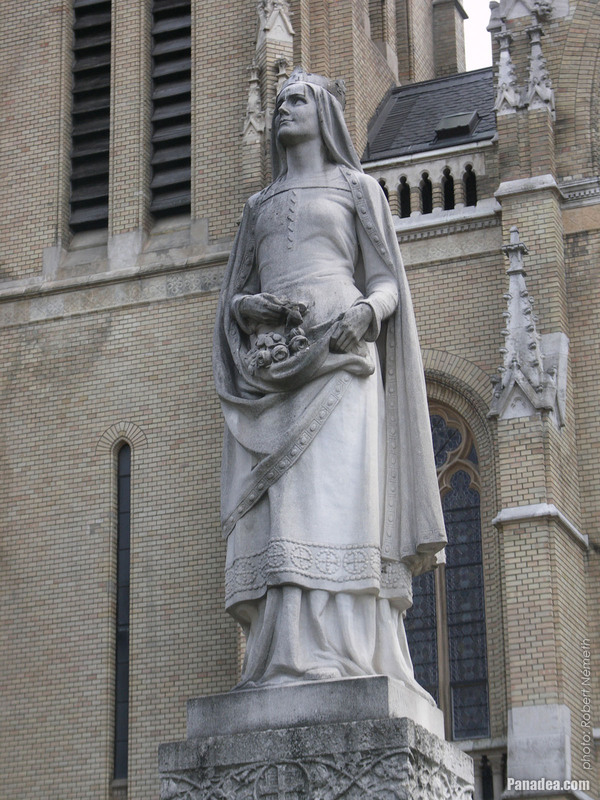 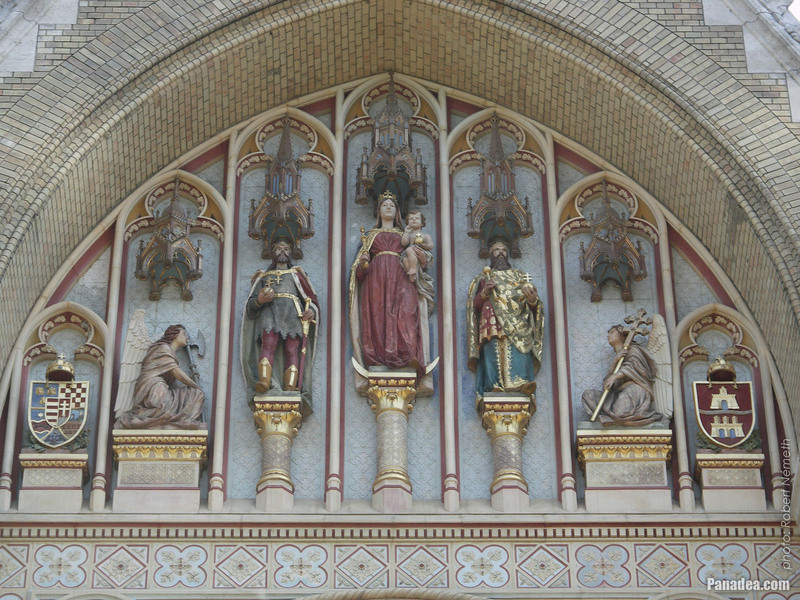 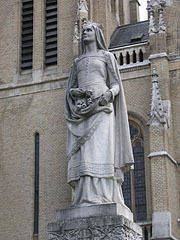 Elizabeth of Hungary was the daughter of King Andrew II of Hungary and Gertrude of Merania. 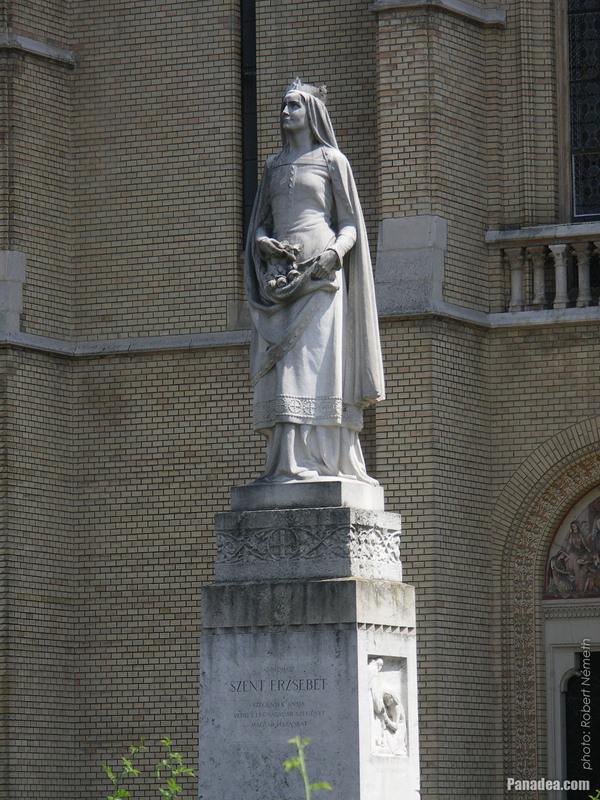 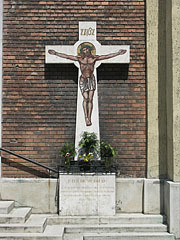 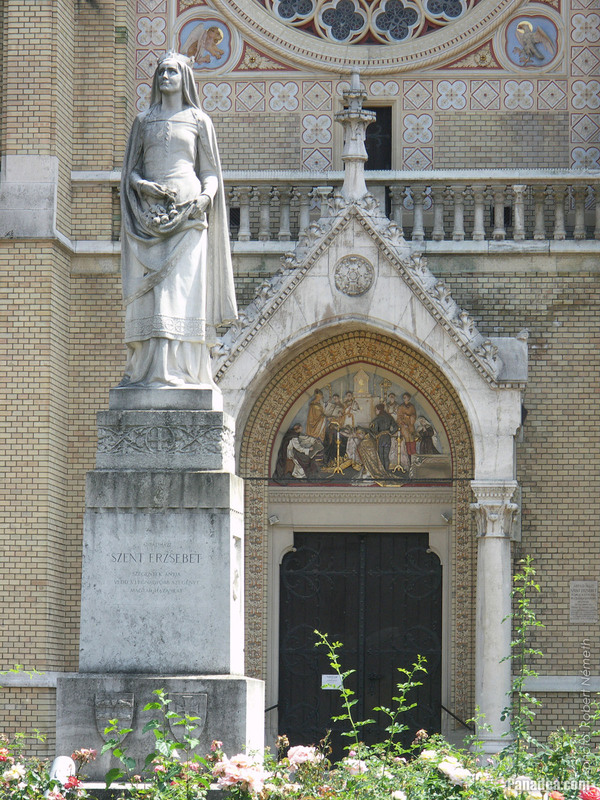 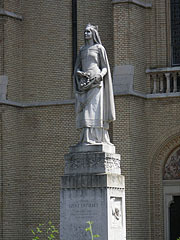 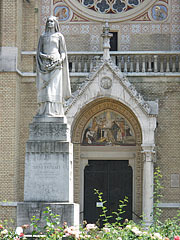 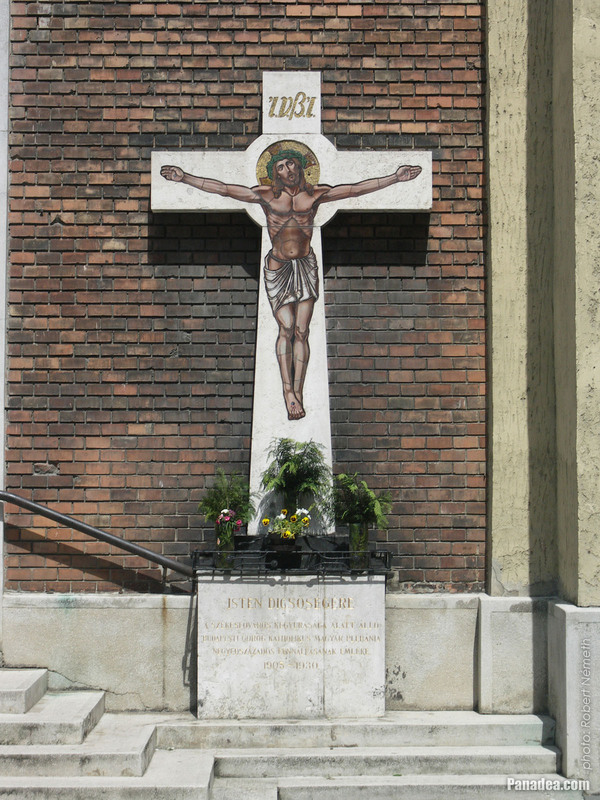 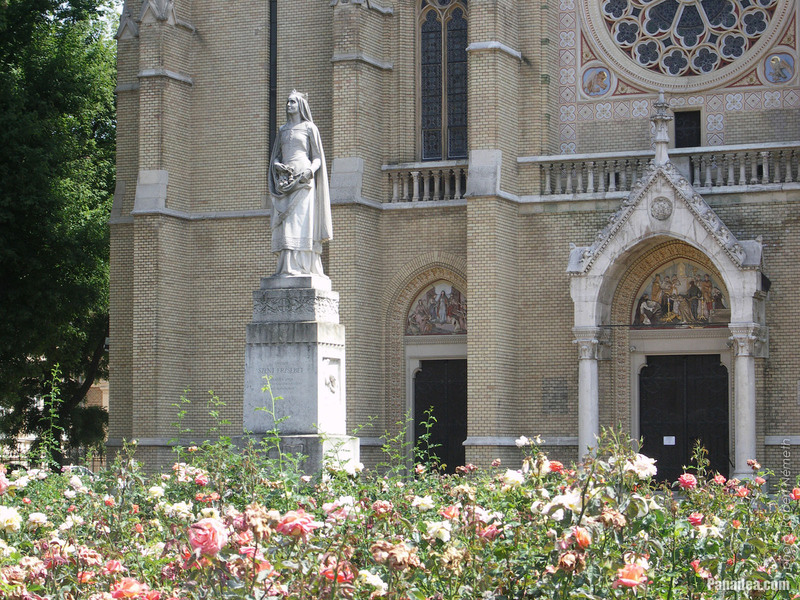 The statue was created by József Damkó in 1932. 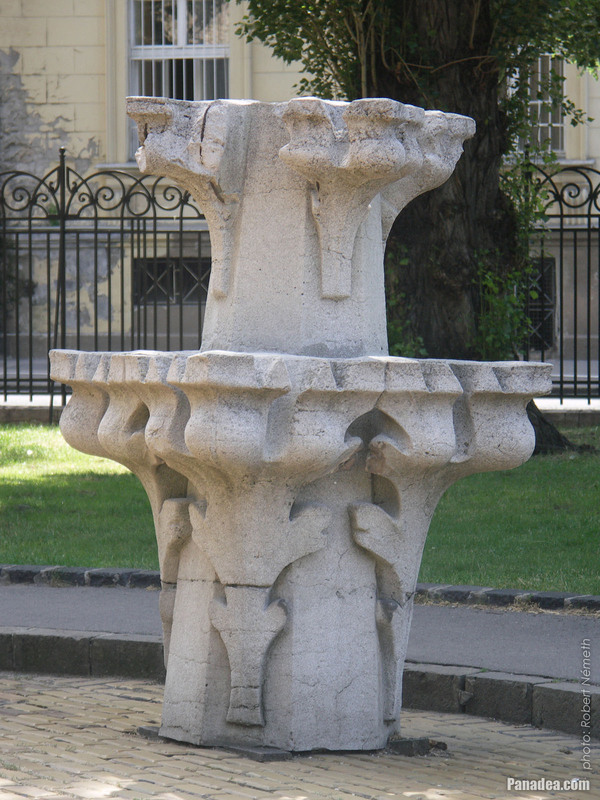 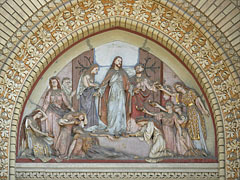 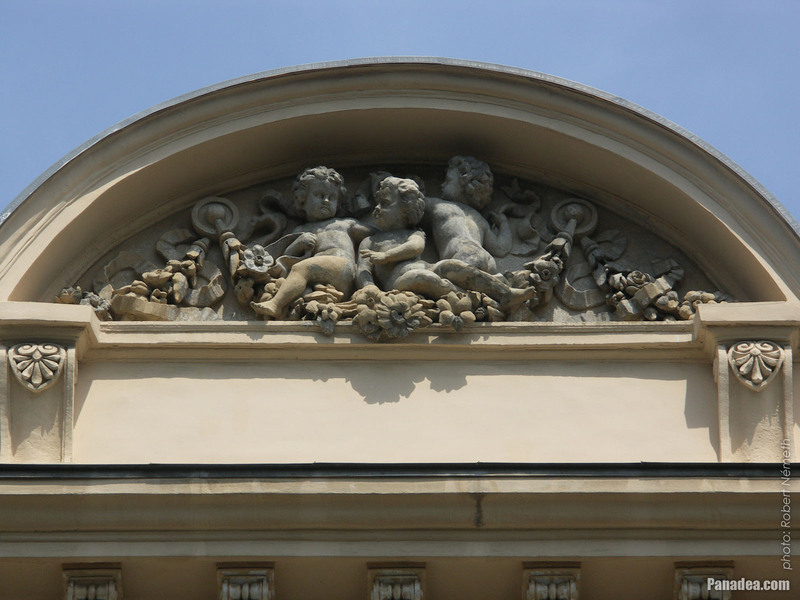 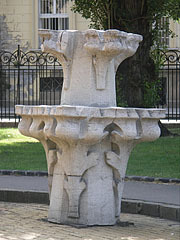 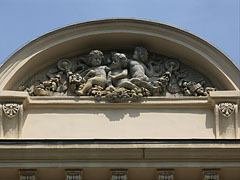 Both were created by Miklós Köllő Hungarian sculptor in 1901. 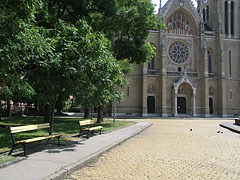 Once it was quite common on the roads of Budapest, although it is very durable, unfortunately very slippery, too, especially in wet conditions. 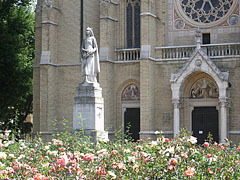 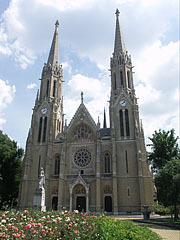 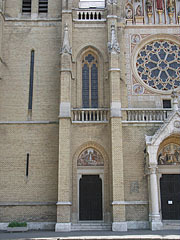 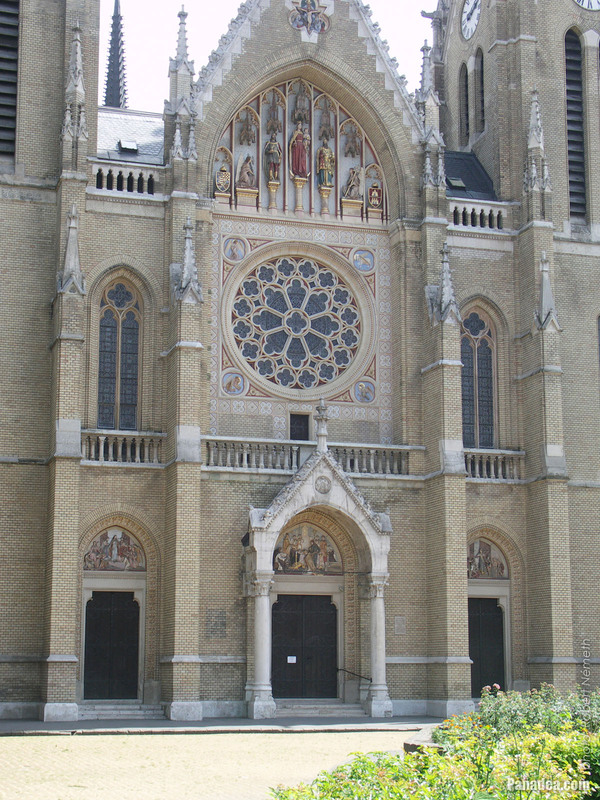 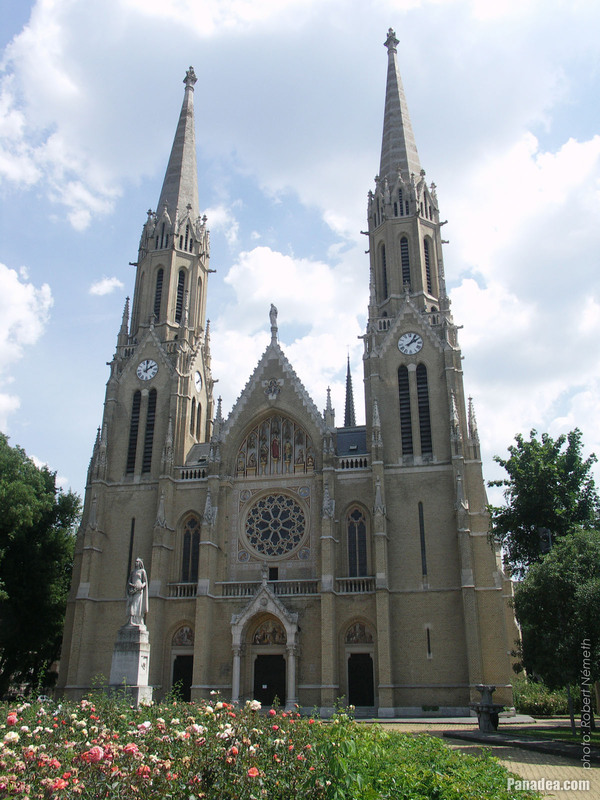 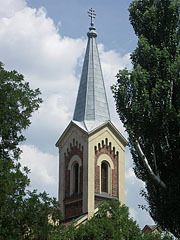 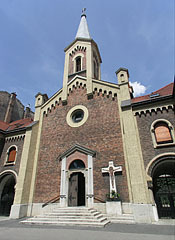 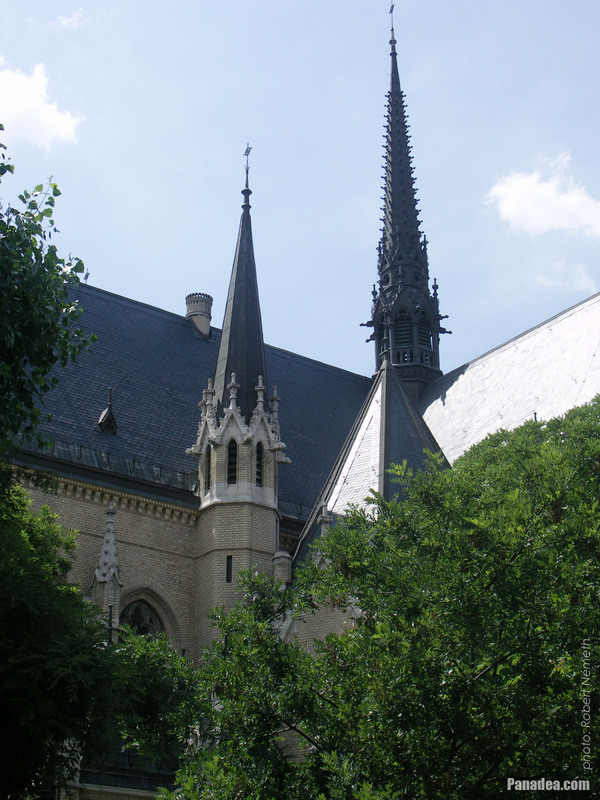 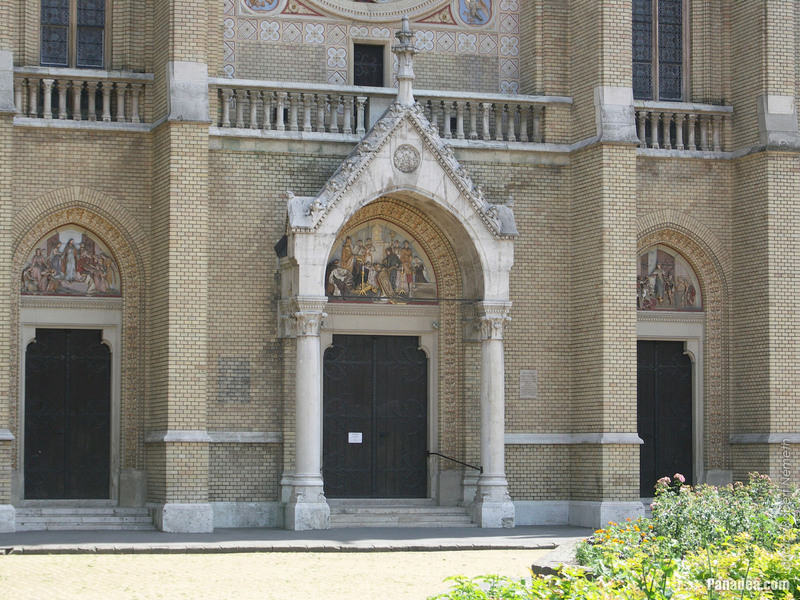 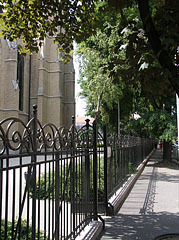 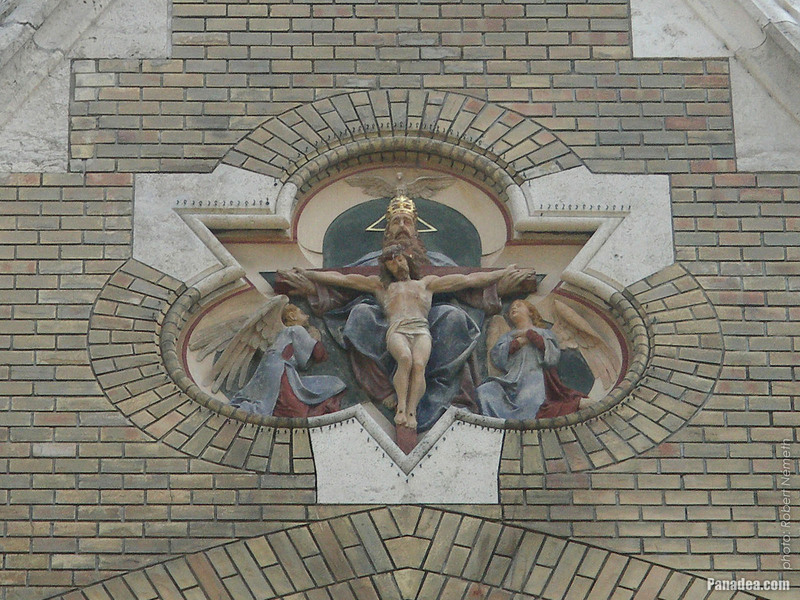 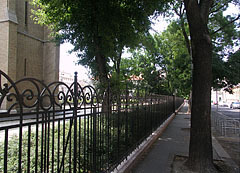 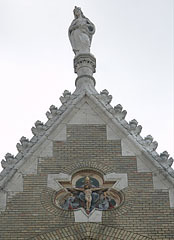 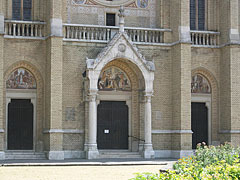 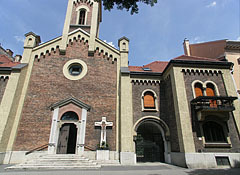 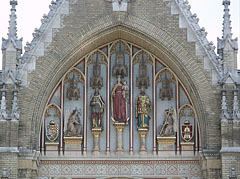 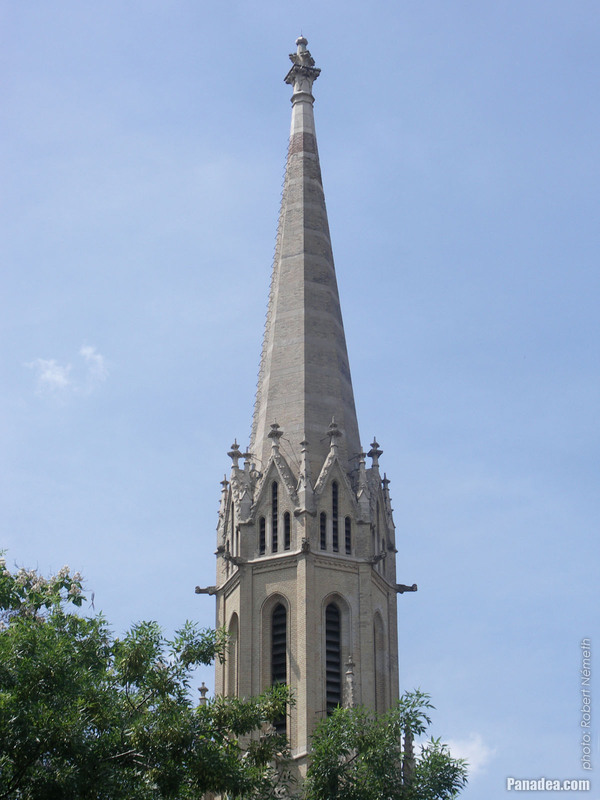 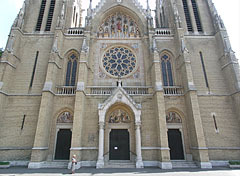 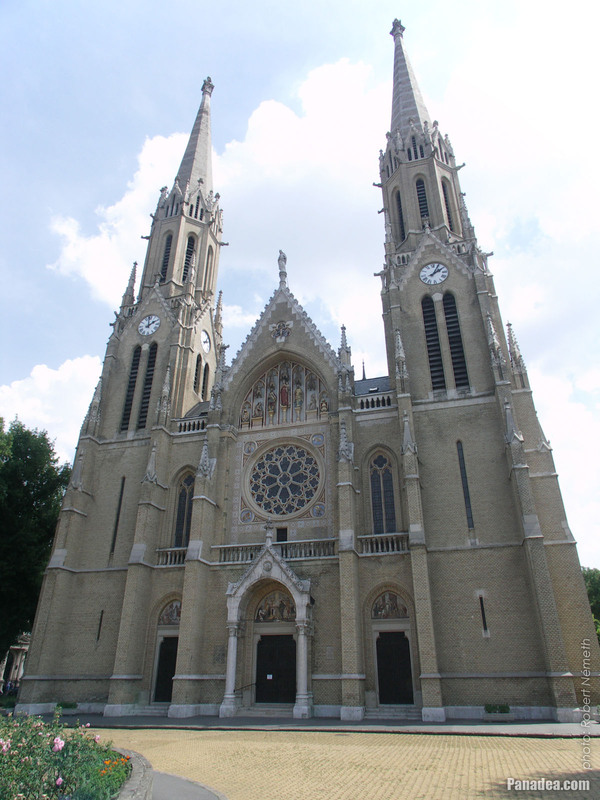 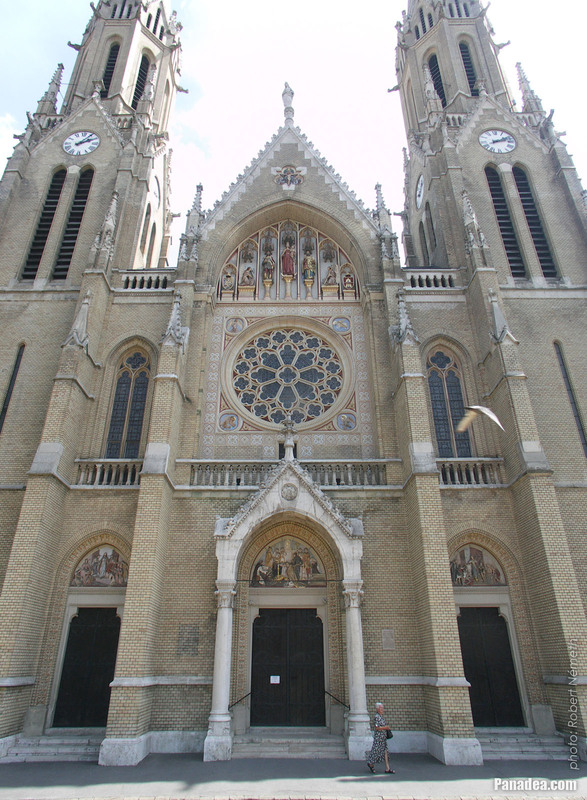 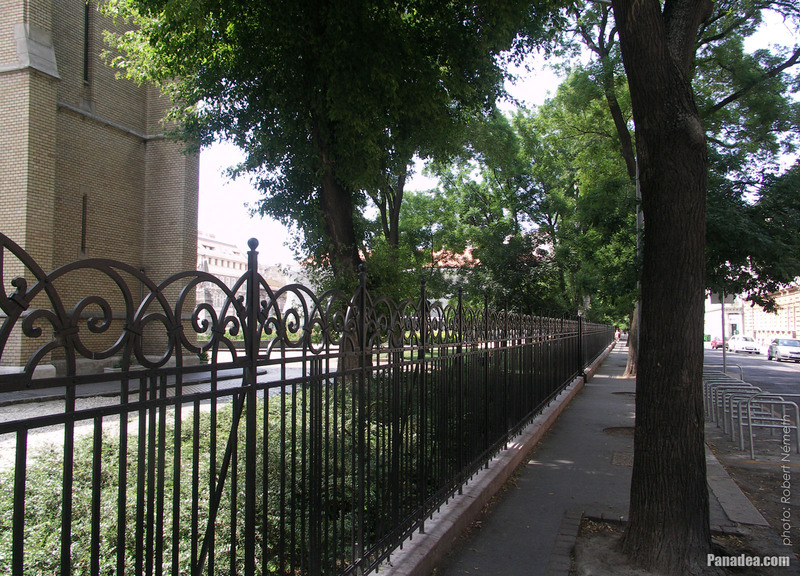 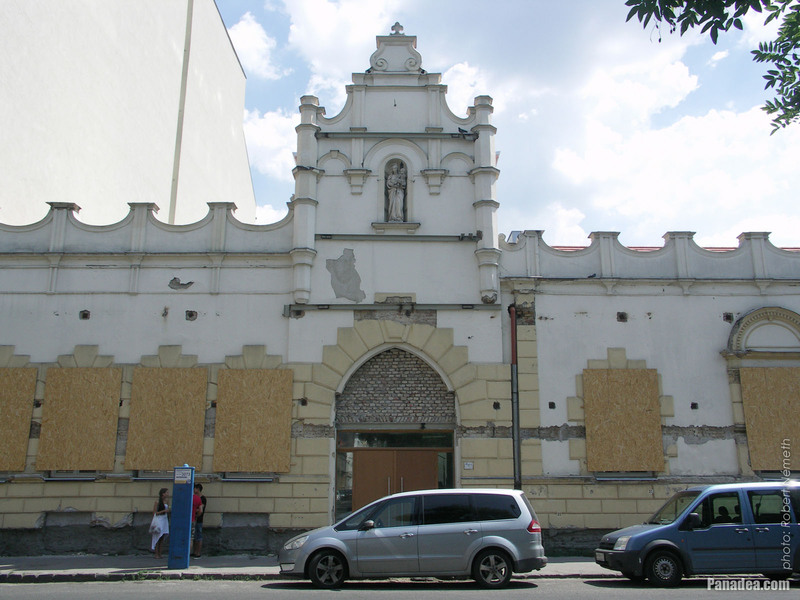 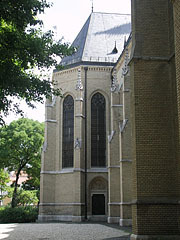 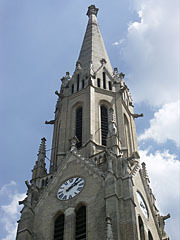 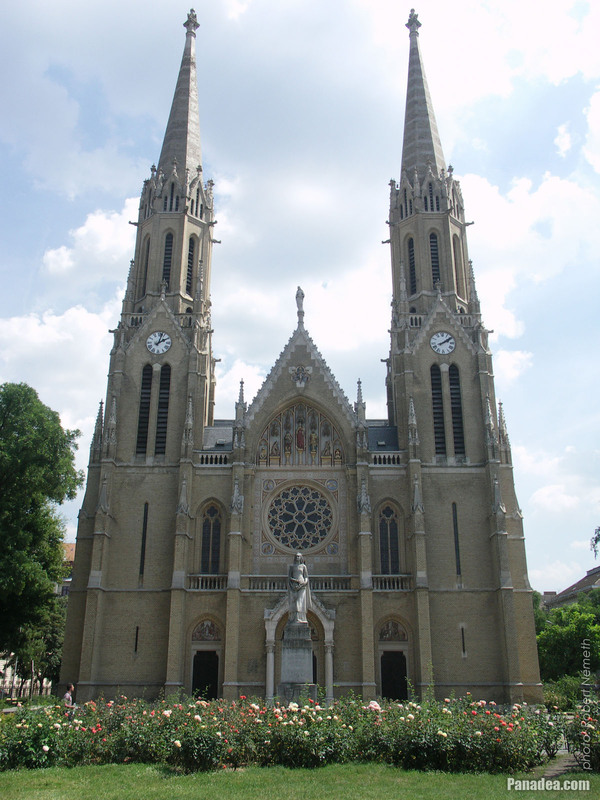 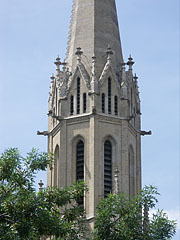 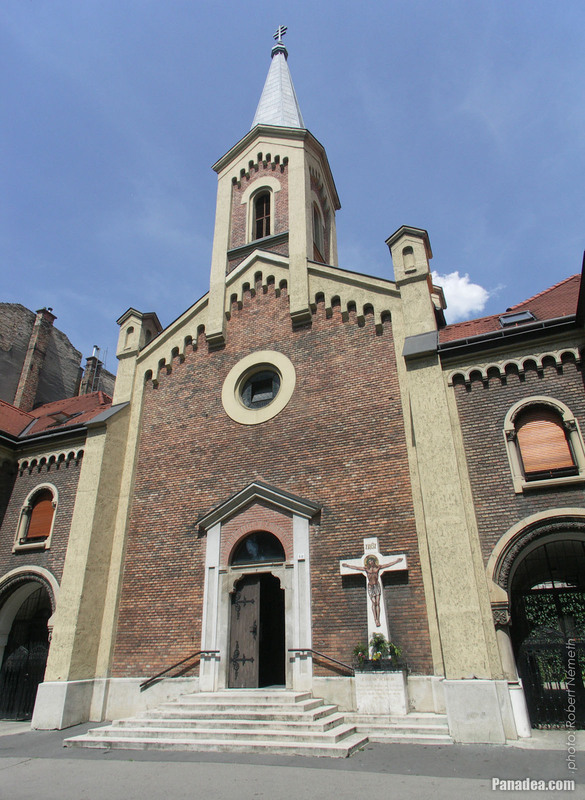 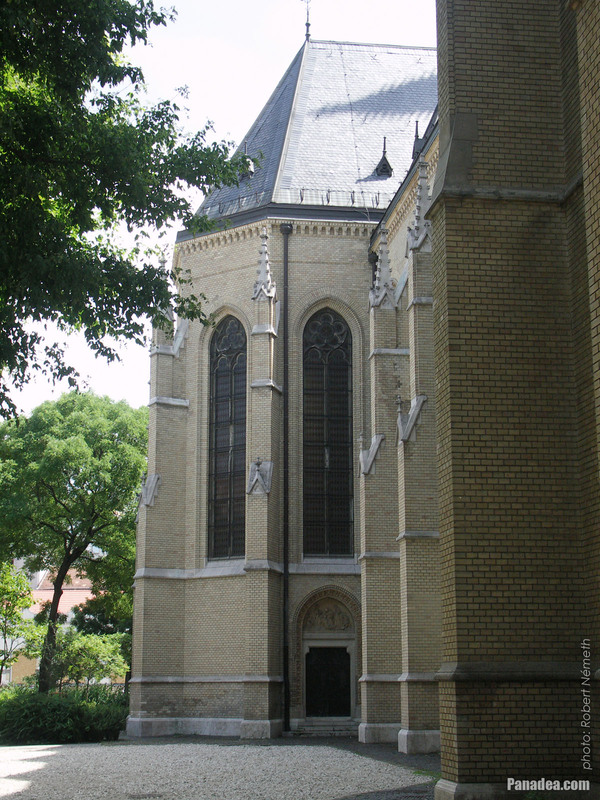 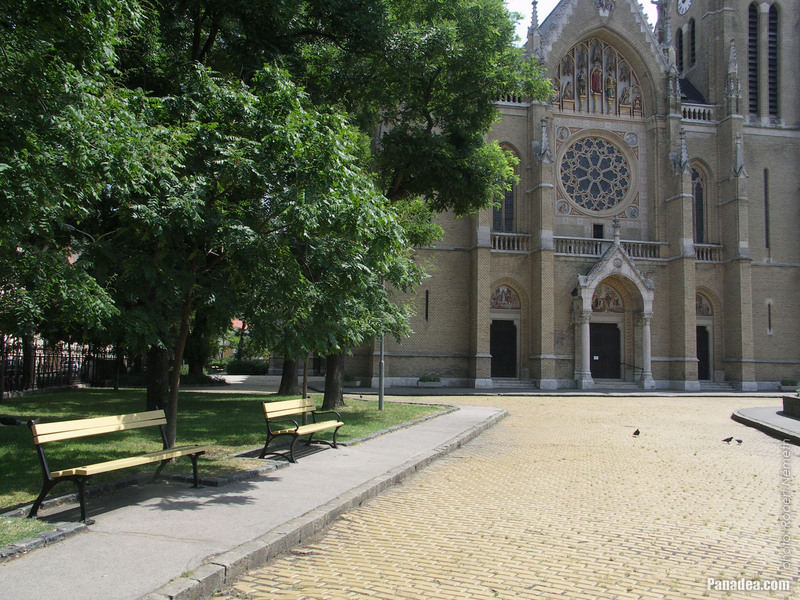 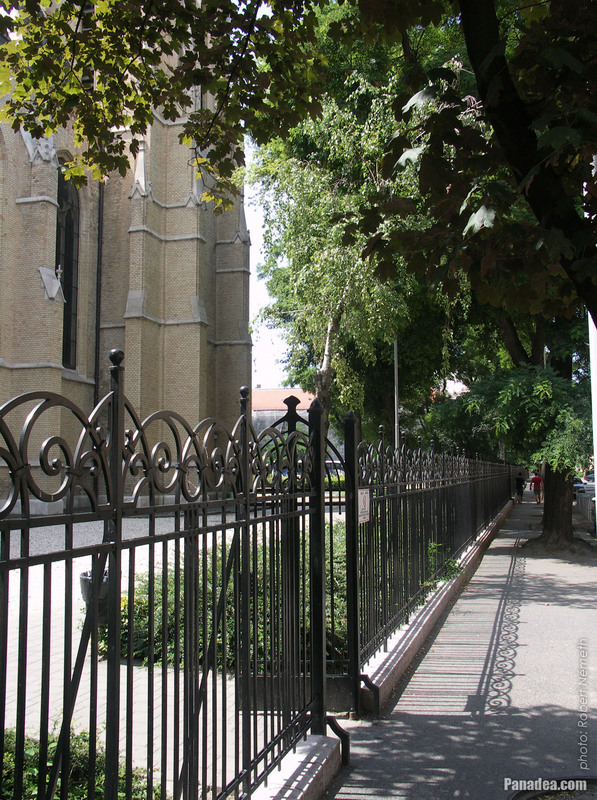 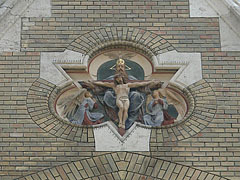 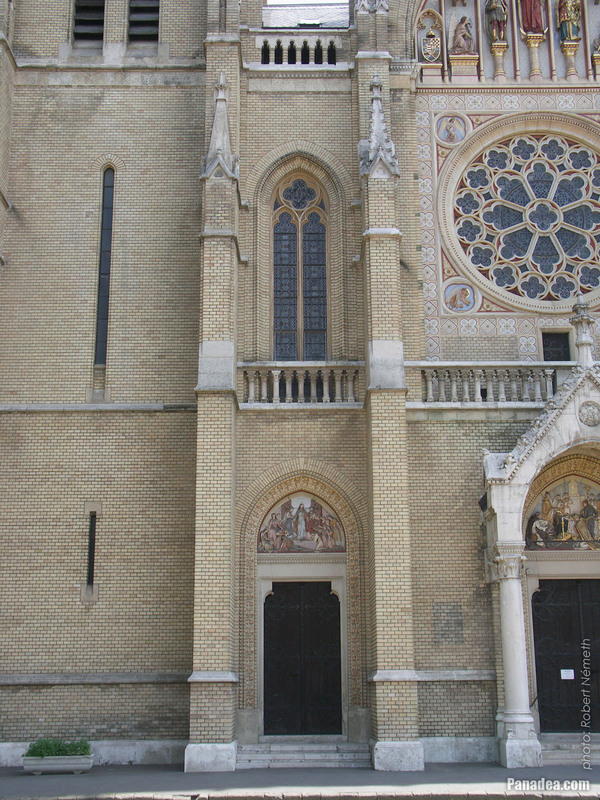 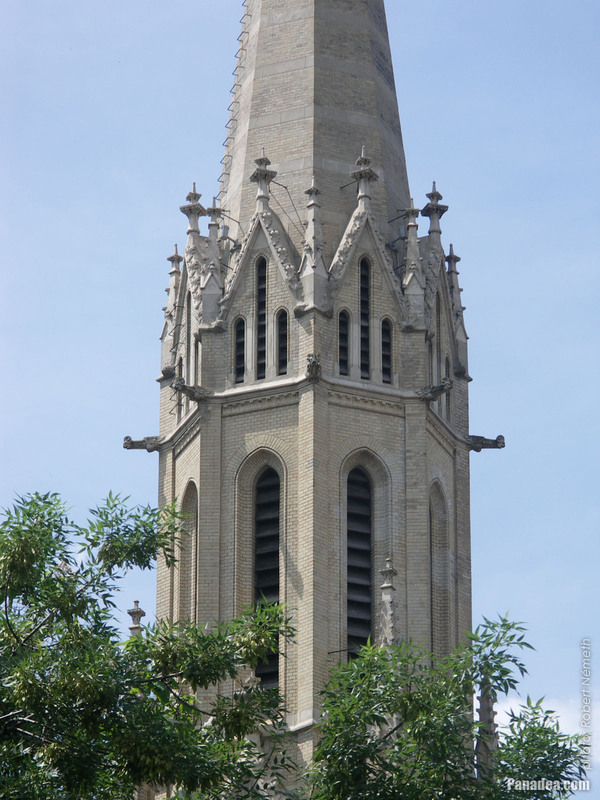 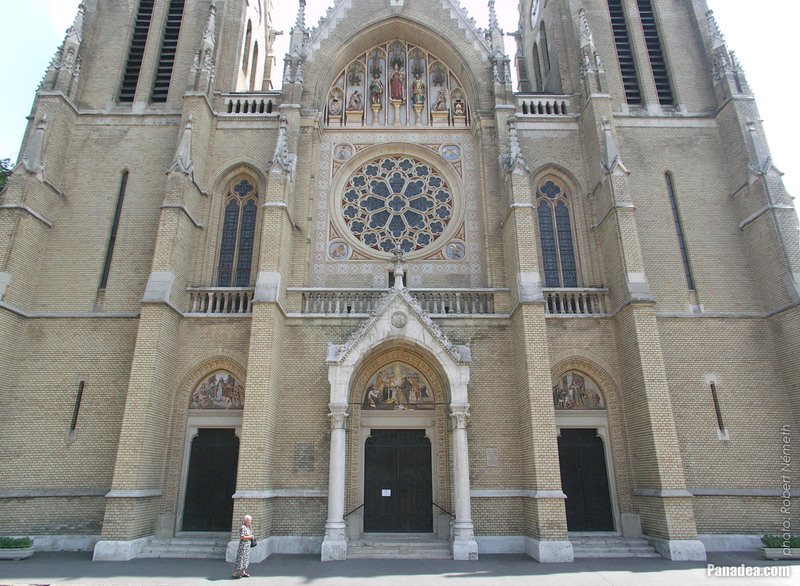 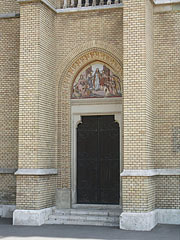 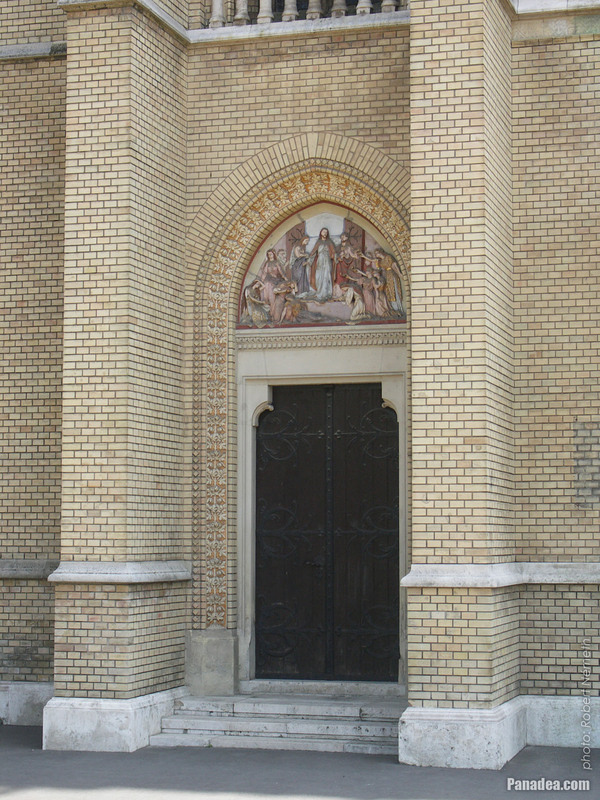 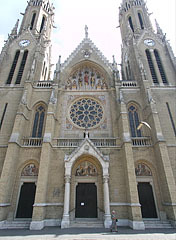 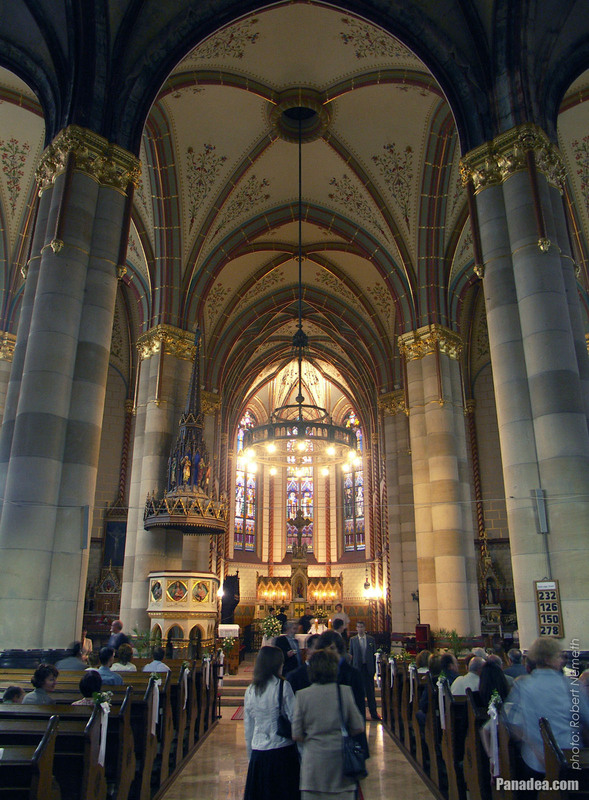 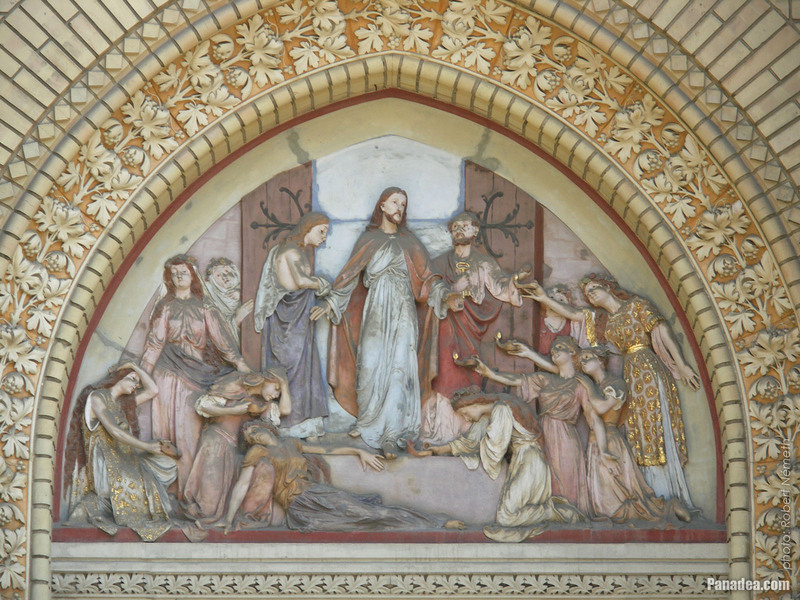 Initially it was a Roman Catholic parish church, and it was passed to the Greek Catholic Church in 1905. 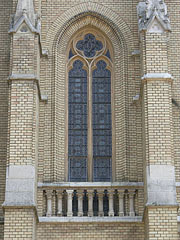 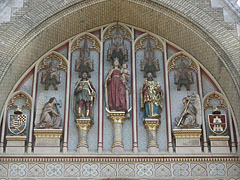 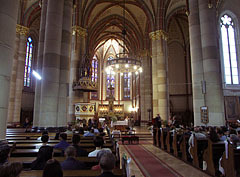 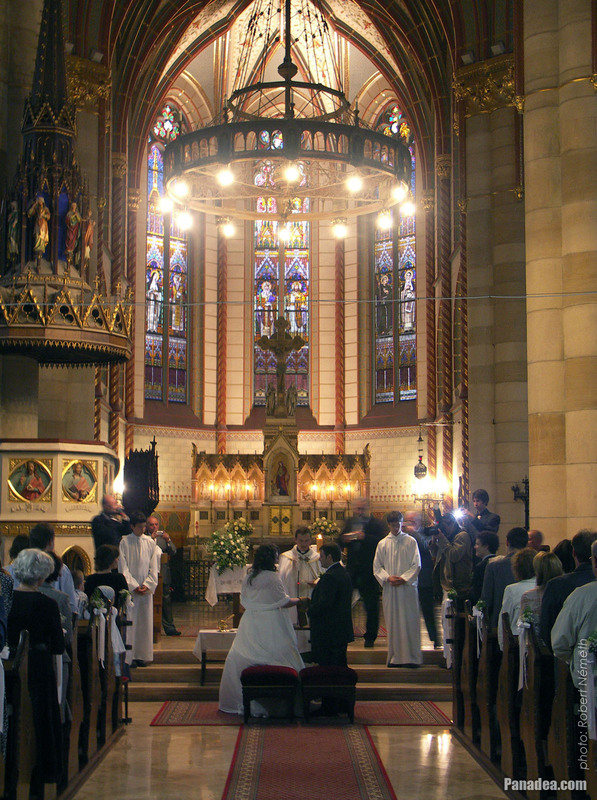 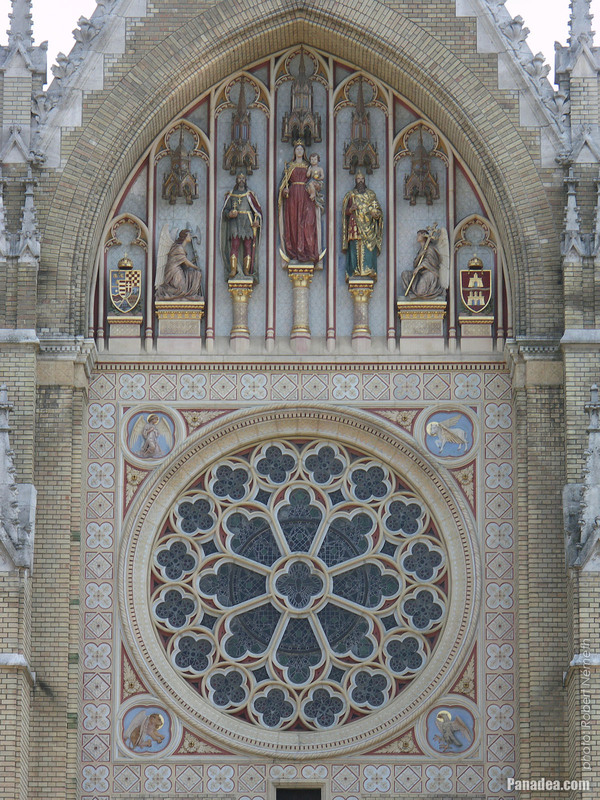 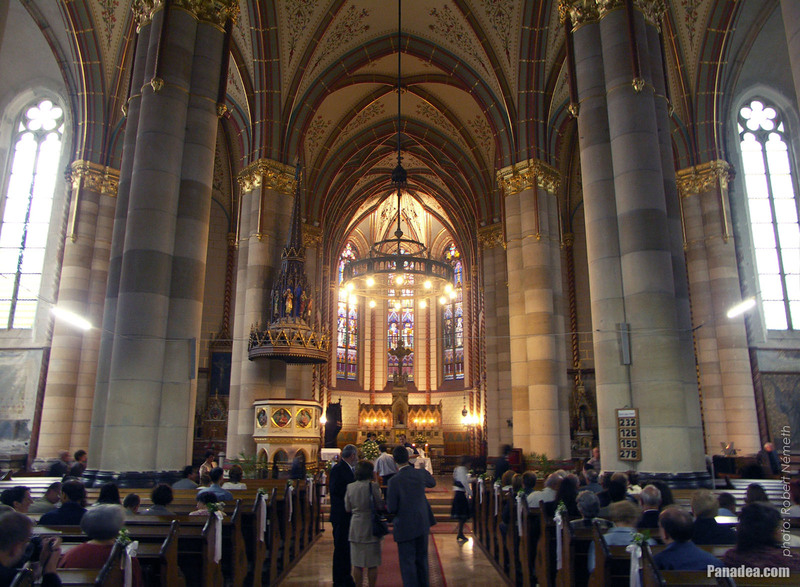 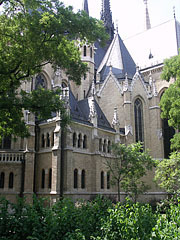 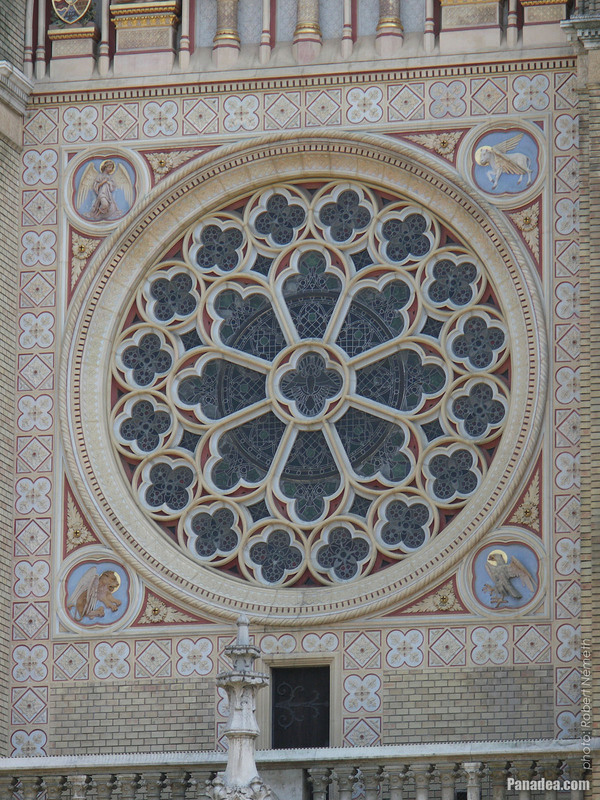 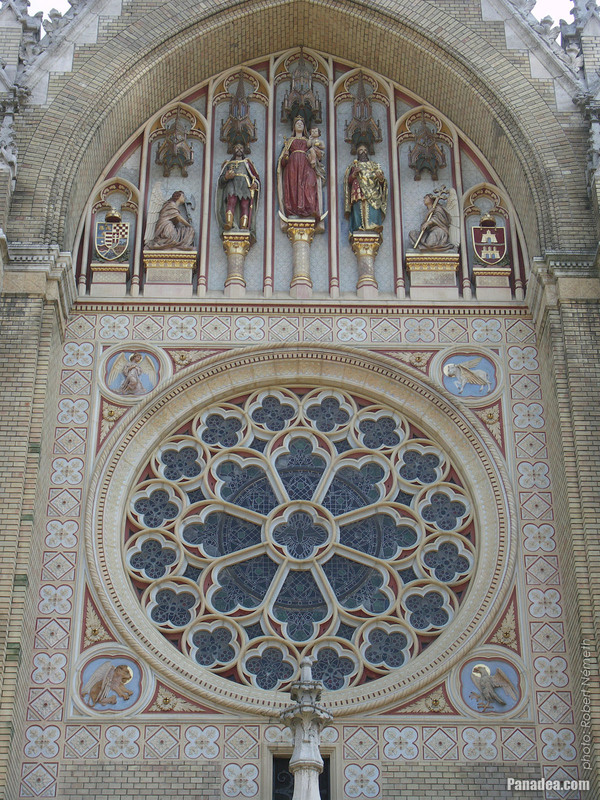 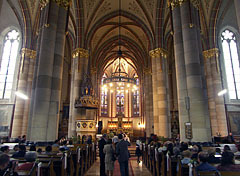 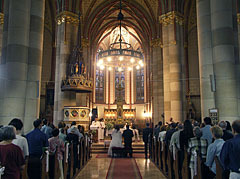 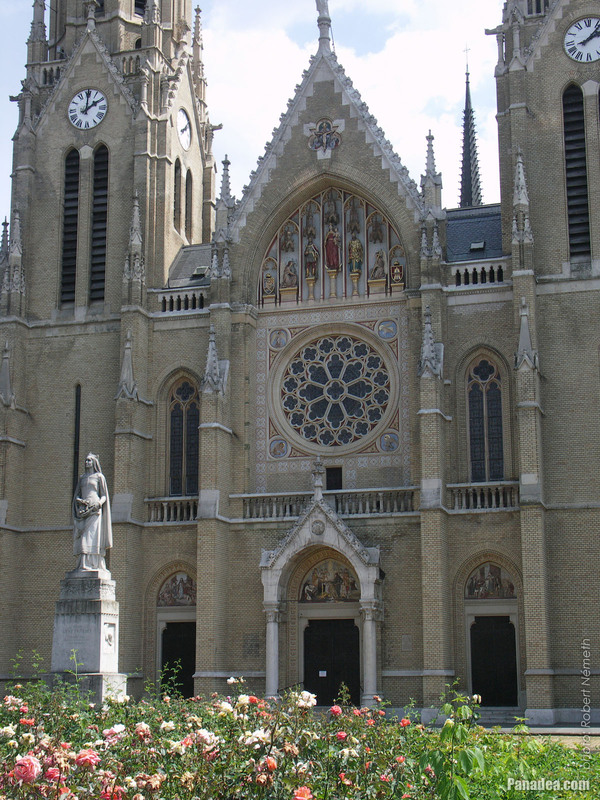 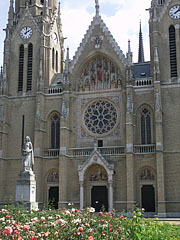 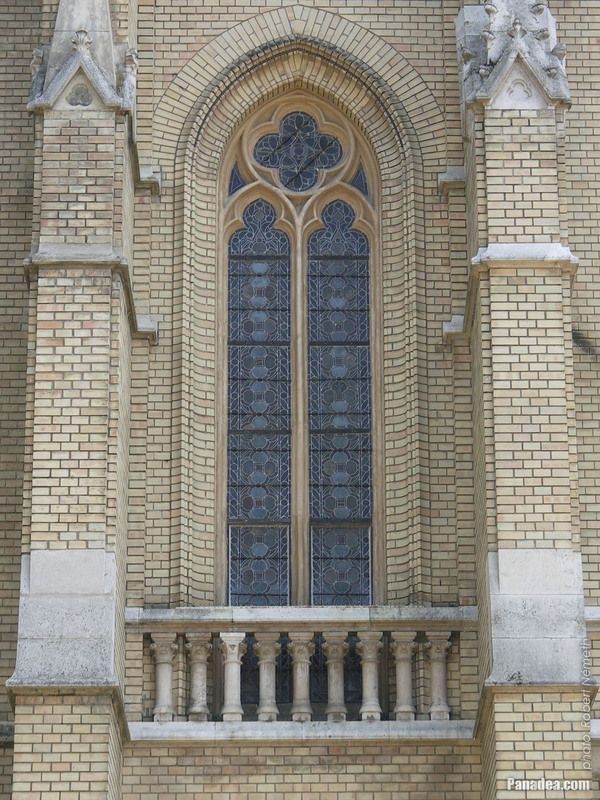 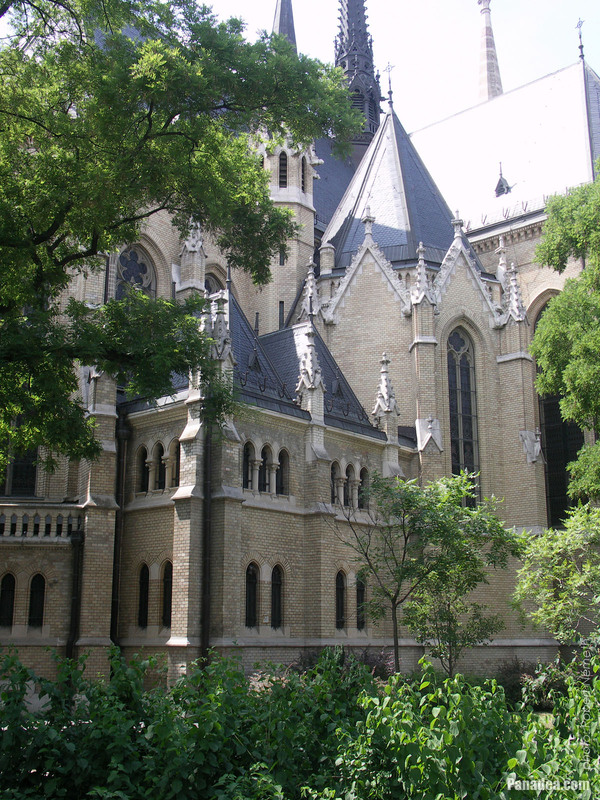 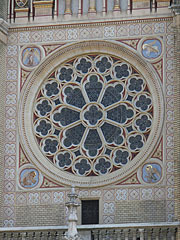 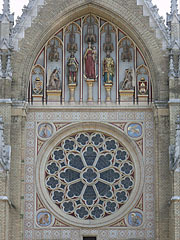 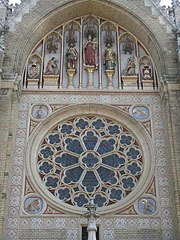 The sanctuary of the church is decorated with the stained-glass windows of Miksa Róth.